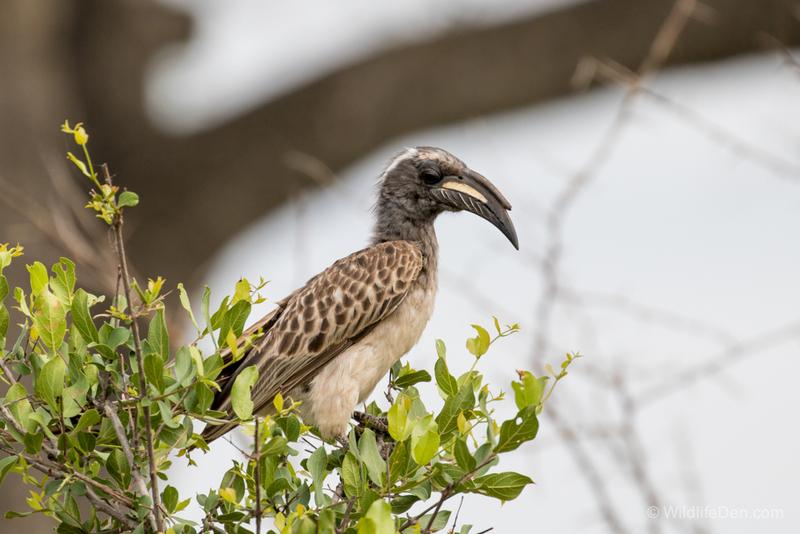 The African Grey Hornbill (Afrikaans name Grysneushoringvoel) is a common resident in broad-leafed woodlands. It feeds mainly on animals, such as birds eggs and nestlings, insects, rodents and frogs, it feeds now and then on small fruit. 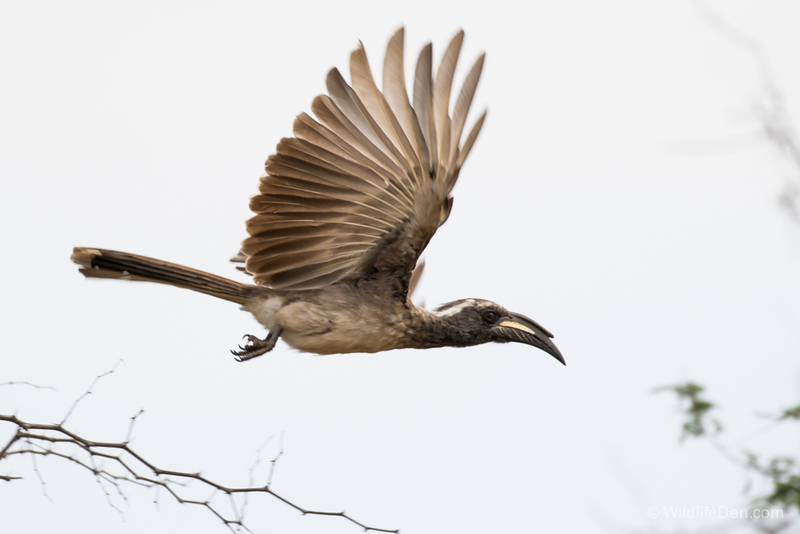 It is seen foraging by flying between bushes, catching prey as it moves.